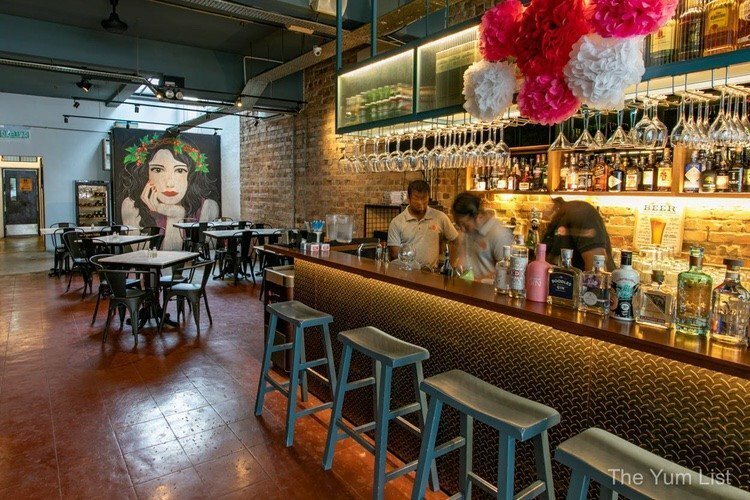 When Jalan Mesui was first revived into a contemporary destination for a friendly mix of locals and expats to socialize, Table 23 was one of the original revamps. Six-years later, the restaurant and bar have settled into becoming a staple for residents in the area with some frequenting as often as every day! The owner, Sherlene Siew, believes the success has come as a result of offering value-for-money home-cooked food and a staff who has remained constant for years, enabling them to build real relationships within the community. And, you know, the bonds made over shared food and beverage are bound to be long-lasting. 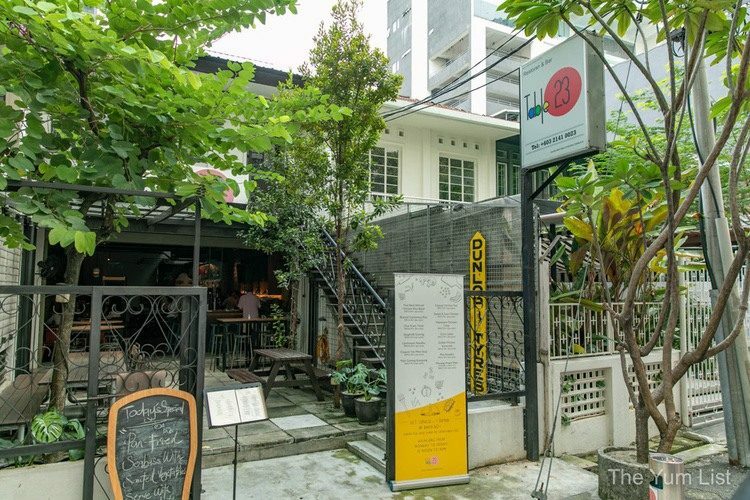 Once an old shophouse, Table 23 Restaurant and Bar has a pleasant, relaxed feel. Morphing easily from outside to in, a covered patio and greenery extend into exposed brick walls, an eye-catching mural in the back, a long feature bar and marble-topped tables. The space blends old with new and style with comfort. Comfort is found not only in the setting but is also the focus of the menu. A mix of home-style western and Asian dishes are very approachable and the lunch deals offered Monday to Friday give good reason to return repeatedly. Set lunches including a drink go for RM19.90+ during the week from 12 noon to 6 pm. 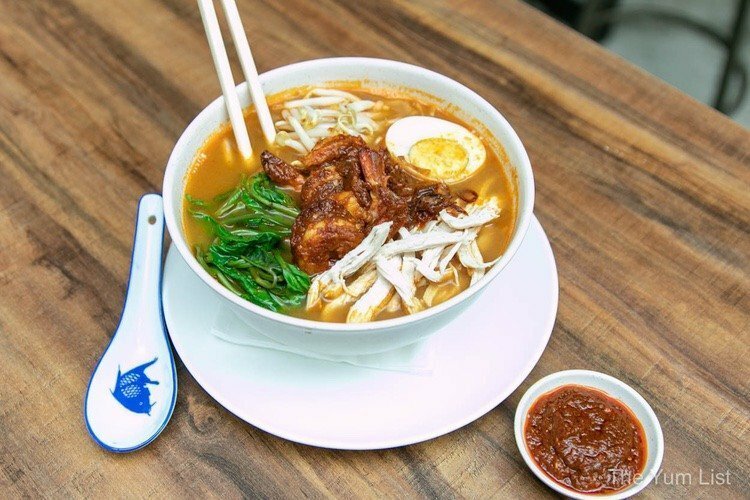 One such lunch is the Penang Prawn Mee (RM17.90+ a la carte, RM19.90+ with a drink), which is only available Wednesday and Friday, making it even more popular. It’s served with both egg and rice noodles, bean sprouts, kangkung, shredded chicken, prawns, a halved hard-boiled egg and shallots. A pork-free dish, the intensity comes from stir-frying prawn shells and prawn heads in oil. These are then roughly blended and combined with water to make a flavour-packed broth not too far removed from a rich seafood bisque. 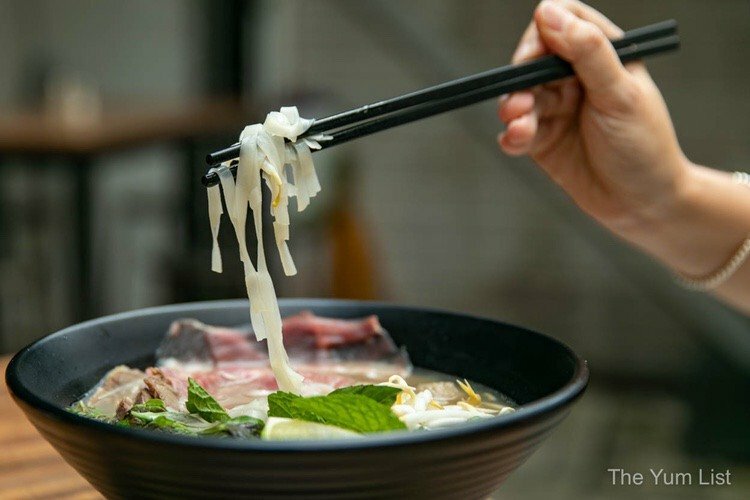 From the all-day dining menu, Pho Noodles (RM25+) are Table 23’s take on the Vietnamese recipe. They wanted to add something soupy as an option that was uplifting but not too spicy and not easily found on the street. Sherlene tried a pho recipe from one of her mummy’s group friends. Using the shared recipe as a base she experimented until she came up with the current heady beef broth. It is brimming with chunky ingredients; beef strips, beef chunks, beef balls, bean sprouts, onions and a wedge of lime. This a popular dish for both lunch and dinner. I can imagine sitting inside on a stormy day watching the rain pour down and finding much pleasure in this soup. 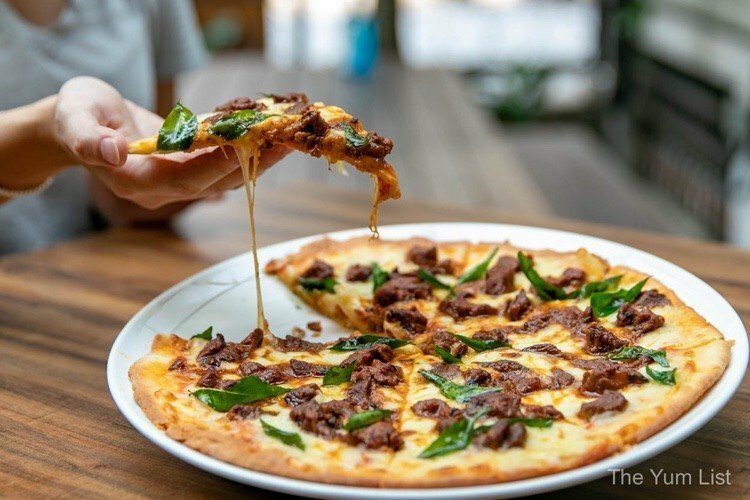 Mutton Varuval Pizza (RM45+) takes a local Indian dish, a dry curry, and uses it as a sumptuous topping for a thin-crust pizza. There’s plenty of mozzarella on top holding it all together and fried curry leaves offer a seductive bouquet and sweet curry taste. Everything is made in-house. The base is made by hand. The mutton is stewed with multiple spices. It has proved a hit with the happy hour crowd, pairing flawlessly with an ice-cold beer. “Oh that looks impressive,” I think as the Homemade Apple Strudel (RM18+) arrives. Besides the filling, even the pastry is made from scratch. Prepared only upon request, guests should allow 15-minutes for it to be ready (which is easily done if you order dessert at the same as your mains). A big scoop of vanilla ice cream is already slowly melting on top and the sauce is delicious salted vanilla. 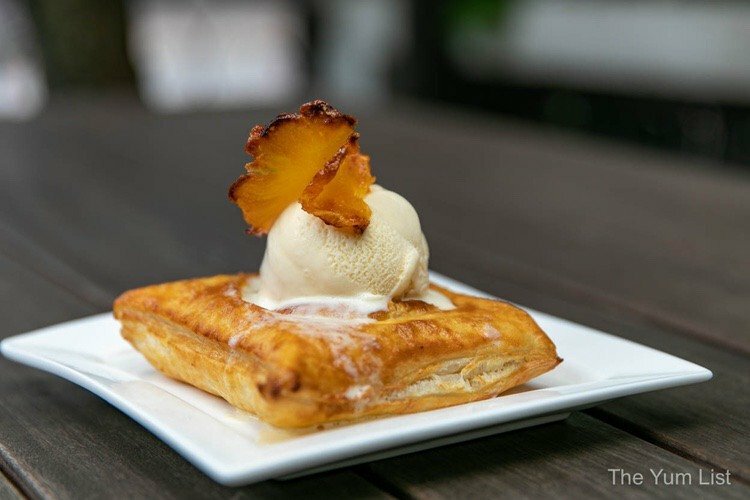 A sticky caramelized slice of baked pineapple garnishes the finish. Rich and I show no restraint as the dessert furnishes a beautiful contrast between warm and chilled and sweet and spiced. Food alone, however, is not the sole reason to visit Table 23. 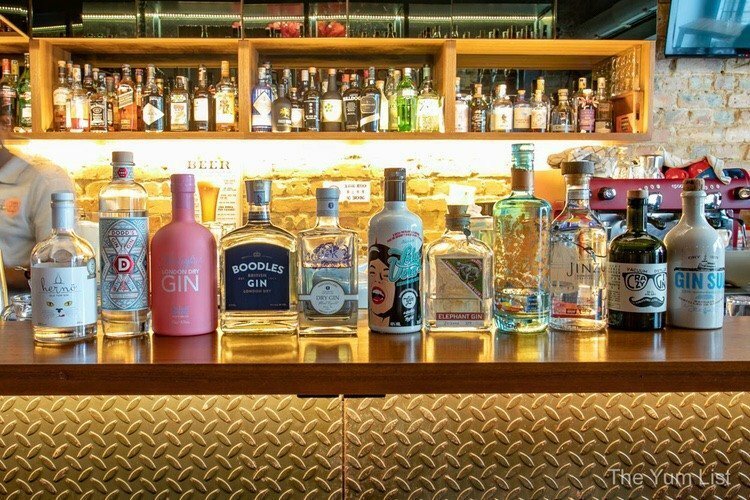 They have a good collection of craft cocktails too along with a fantastic stash of gin from around the world (over 70 types to date). We ease our way into the menu with cocktails first and later follow up with a tasting of the boutique gins. Pink Crushed (RM38+), based on Bombay Sapphire, is a refreshing bevvie of lychee, cranberry and grapefruit. It’s served in a balloon glass making it feel very generous and gifts a garden-party feel. 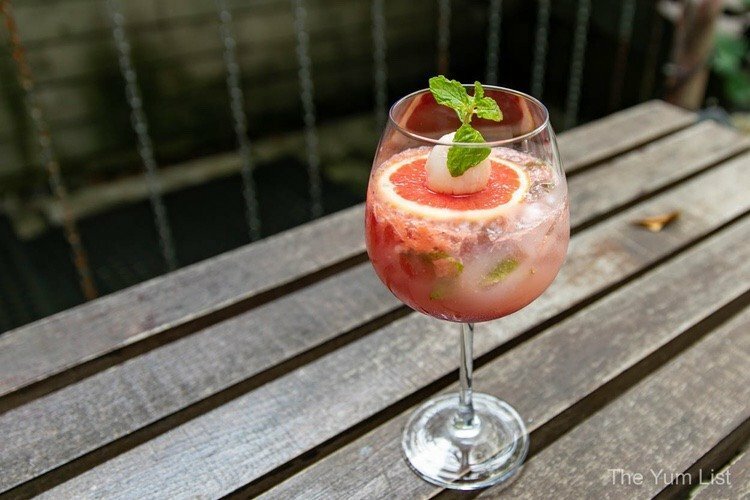 A slice of pink grapefruit, fresh lychee and mint garnish the drink. It’s a lovely warm-weather sipper that I imagine ordering multiples of with a group of girlfriends on a hot afternoon. 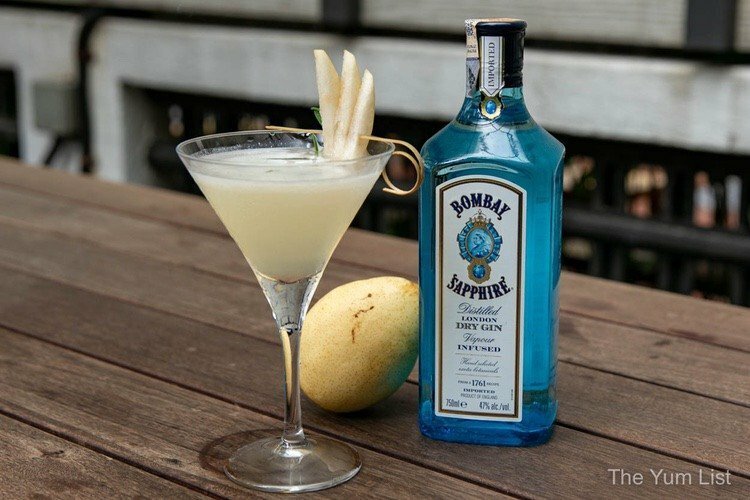 Served in a martini glass, Pear-Me-Up (RM38+) is garnished with fresh slices of pear and a sprig of rosemary. Elderflower, pear and rosemary contribute floral, fruity and herbaceous notes to the spirit. It has a soft sweetness that is balanced by the bitter gin and herbs. 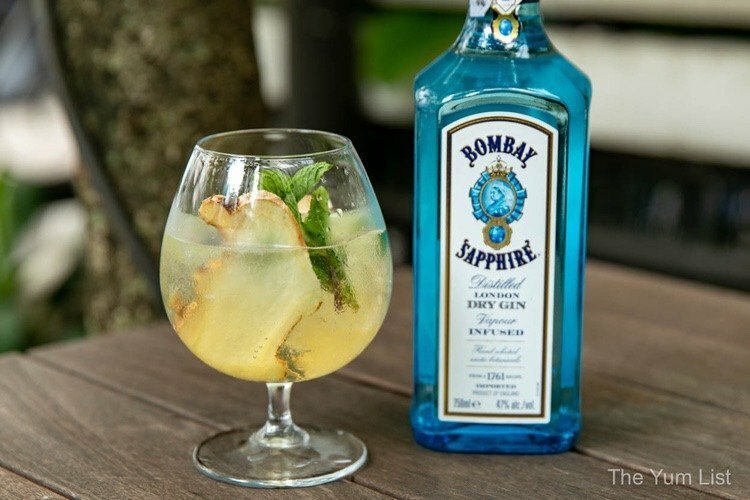 Gin Ginger (RM38+), of course with a gin base, is topped up with Martini Bianco, lime wedges, local ginger (from Bentong – a community famous for their high-quality ginger) and ginger ale. It has a complexity of layers with sweet, bitter and tangy all in one mouthful. Smell the drink before you sip. It’s wonderfully aromatic. You may have noticed that the three preceding cocktails were all of a gin base. It’s no coincidence. Table 23 has a fantastic gin collection, over 70 (! ), and that number is constantly increasing. Tonic fusses should be happy too with the possibility to upgrade (RM8 per bottle) to Fever-tree tonic in five different flavours. 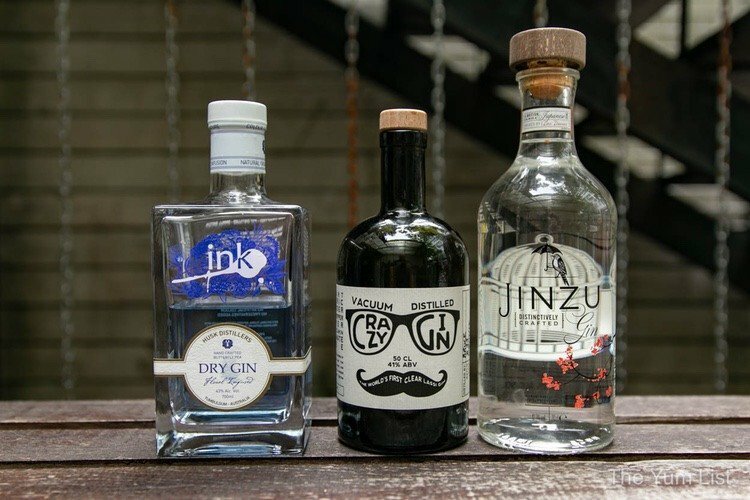 Gins come from Australia, Japan, Europe and the USA and a happy hour (daily between 5 pm and 9 pm) special allows you to order any two gins for RM55+. Most are usually priced at RM40+ or RM45+ so that is a pretty good deal. We do a tasting of three from around the globe. The first, Ink (RM40+), features herbs from the Aussie bush: myrtle leaf, coriander seed, Tasmanian pepperberry, orange peel, elderflower and butterfly pea flower. This is sure to impress as when served, the gin sits a pale blue in the glass as a result of the butterfly pea. Once tonic is added, the drink converts to a pretty purple. The second, although founded in Japanese flavours, is put together by a Scottish lady. The award-winning Jinzu (RM45+) is bright with yuzu, sake and cherry blossom – all components I very much enjoy. Of the three, it was wise to leave the Crazy Gin (RM45+) until last as its powerful presence makes me think of a cocktail version of Indian curry. Pomegranate, turmeric, juniper, black cumin, coriander, black pepper, angelica and yoghurt make a distinctive profile, one that surely stands out from most. Table 23 is a friendly restaurant and bar. It’s the place to go to find quality comfort food on Jalan Mesui backed up with good cocktails and a fantastic gin collection. More on KL’s vibrant bar scene here. Oh? So the beef pho is good, eh? Food looks decent…and I sure would insist on sitting at Table No. 23 should I happen to drop by there. LOL!!! The food look really good. I am aiming for that Mutton Varuval pizza! and their food and drinks look so sumptuous.